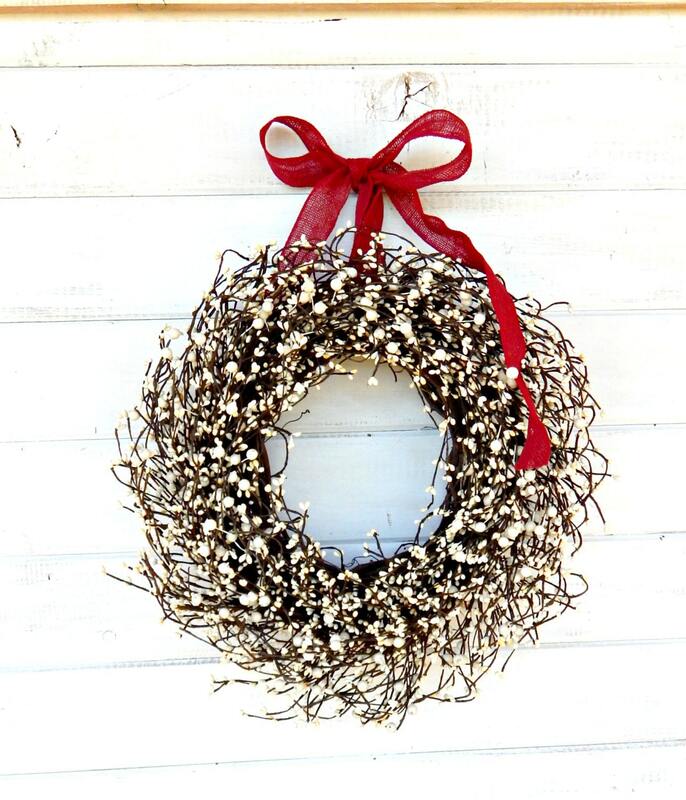 A UNIQUE Scented Wreath! 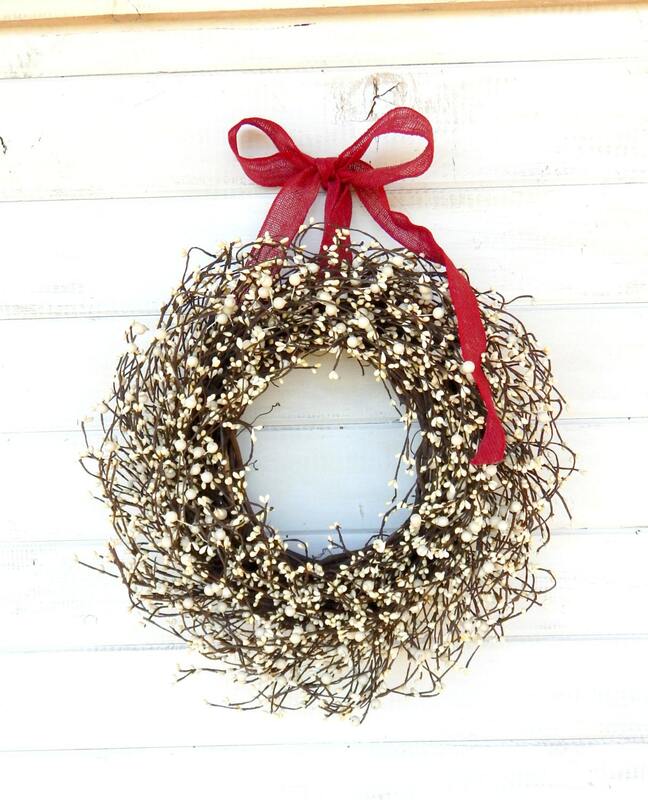 This Rustic Berry Wreath hangs from a thin Red Burlap Ribbon. It is full of Large and small artificial berries and Scented with your choice of my Scented Oils.....Change the Ribbon and use this Wreath all Year Long!